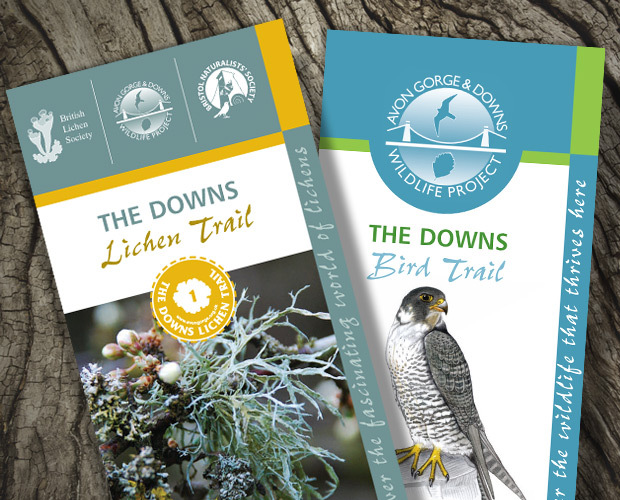 The Avon Gorge and Downs Wildlife Project asked us to design visitor trail guide leaflets. The Avon Gorge, Clifton Down and Durdham Down are home to a wealth of wildlife. With nesting peregrine falcons, rare plants, awe-inspiring geology and stunning views. The Avon Gorge and Downs Wildlife Project was set up to look after the wildlife of the Bristol side of the Avon Gorge and the Downs. 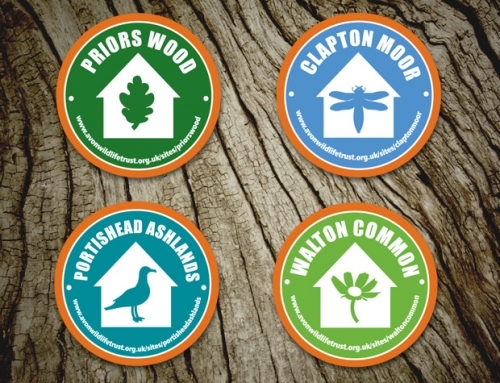 They also aim to raise awareness about the importance of this unique place for people and wildlife. 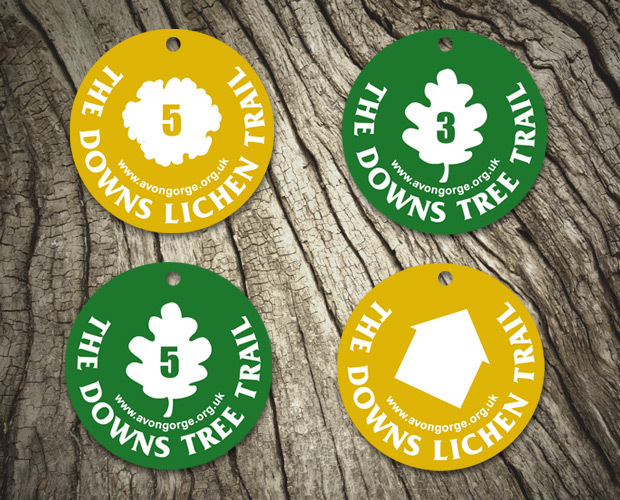 OBJECTIVE: To raise awareness of the Lichen and Bird Trails on the Downs and provide a visitor’s trail guide with maps. 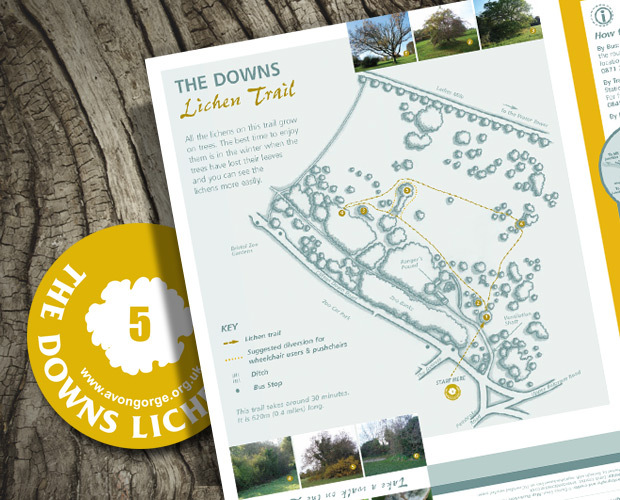 OUR SOLUTION: We designed two A3 folded leaflets (12 page) using a colour palette inspired by the lichen and landscape of the Downs. 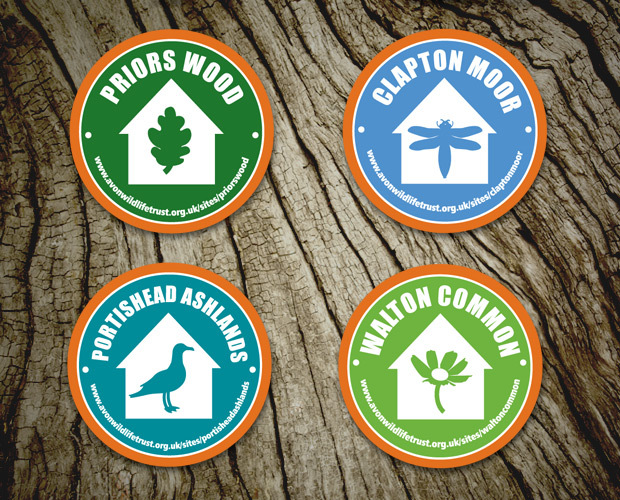 Also a set of tree-mounted waymarkers (for the Lichen Trail). The Bird Trail leaflet was illustrated with a stunning set of detailed bird illustrations.